If Pastor Terry Jones goes through with his threat to burn Qurans on Sept. 11, he’ll take his place alongside fanatics who destroyed Rushdie’s Satanic Verses, Falun Gong texts—and even Braille books. If Gen. David Petraeus, the top U.S. commander in Afghanistan, can’t dissuade Pastor Terry Jones from staging a Quran burning to mark the ninth anniversary of the September 11 attacks, I doubt he will be moved by arguments that we humble civilians can muster. But if Pastor Jones proceeds with this appalling publicity stunt, he will be joining a long line of fanatics and weirdoes who have made history by destroying books, pamphlets, records, videotapes, and other material they disliked. Wikipedia lists 86 previous instances of biblioclasm or libricide, as the practice is known, starting with the Chinese Emperor Qin Shi Huang, who in 213 B.C. ordered the burning of all philosophy and history books written in states other than his own. (This, notes the people’s online encyclopedia, was promptly followed by the live burial of intellectuals who dissented from Emperor Qin’s party line.) The practice had legs, so to speak. During the Cultural Revolution, young Chinese zealots burned not only classic works of Chinese literature, but also irreplaceable family genealogy books in which the names of all male offspring were inscribed. And in 2004, according to a United Nations report, Beijing publicly destroyed hundreds of thousands of books and materials as part of its campaign against the Falun Gong movement. In the 1480s, after the final defeat of the Moors at Granada, Torquemada, the Pastor Jones of his day, promoted the burning of anti-Catholic literature, especially the Jewish Talmud but also Arabic language books. It’s a free country, so we can’t stop the pastor from endangering American soldiers fighting abroad and social equanimity at home. But we can remind him of the company he is about to be keeping. Flash forward to our own bloody 20th century and the Nazi bonfires of Jewish, anti-Nazi, and other “degenerate” books. In the Soviet Union, communists, too, purged their libraries of objectionable works. Soviet biology and other branches of science never fully recovered. Americans have often flirted with the bonfire, and not just in the stodgy old Salem witch-burning era. Founded in 1873, the New York Society for the Suppression of Vice, headed by Anthony Comstock, inscribed book burning on its seal. In his time, Comstock is reported to have destroyed some 15 tons of “objectionable” books and nearly 4 million lewd pictures. Yet New York’s peep shows and other dens of vice happily survived. In 1966, the Ku Klux Klan publicly burned Beatles records after John Lennon told a British publication that the group was “more popular than Jesus now” and that he didn’t know which would “go first, rock and roll or Christianity.” Although his comments caused barely a stir in England, the Klan took umbrage after they were reprinted in an American teen magazine. Wikipedia reports that the uproar partly prompted the group to stop touring. Khomeini’s religious ruling was much of the world’s introduction to the fanatical brand of Islam that America and its allies are now battling in Afghanistan. For as Gen. Petraeus warned Pastor Jones, burning books is what the Taliban do. The fatwa drove Rushdie into hiding, but his publisher, who was also condemned to death by it, stood firm. Peter Mayer, of Penguin books, continued publishing the novel. For his pains, he received hate letters written in blood, death threats against him and his daughter, and warnings from nervous book store owners that Penguin books might be too hot to handle. “We developed the argument that...how we responded to the controversy over The Satanic Verses would affect the future of free inquiry, without which there would be no publishing as we knew it but also, by extension, no civil society as we knew it,” Mayer told Kenan Malik in an interview in The Sunday Times of London two years ago. 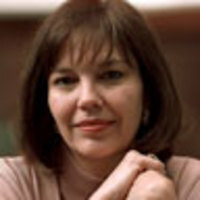 Judith Miller is an author and a Pulitzer Prize-winning former investigative reporter for the New York Times. She is now an adjunct fellow at Manhattan Institute, a contributing editor to its magazine, City Journal, and a Fox News commentator.